Clark Hull was a psychologist known for his drive theory and research on human motivation. Through his teaching, Hull also had an impact on a number of other well-known and influential psychologists including Kenneth Spence, Neal Miller, and Albert Bandura. In a 2002 ranking of some of the most influential psychologists of the 20th century, Hull was listed as the 21st most frequently cited psychologist. Learn more about his life, career, and contributions to the field of psychology. Clark Hull was born on May 24, 1884 in Akron, New York. He died on May 10, 1952 in New Haven, Connecticut. Clark Leonard Hull’s early life was marked by bouts of illness. He was born in New York and raised on a farm in rural Michigan. His early education occurred at a one-room schoolhouse, where he would also teach for one year after graduating before continuing his schooling at Alma Academy. After graduating from the academy, his education was delayed for a year due to a severe case of typhoid fever. At age 24, he contracted polio and became permanently paralyzed in his left leg, leaving him reliant on an iron brace and cane to walk. He had originally planned to study engineering, but his health struggles led him to turn his interests toward psychology. While his poor health and financial struggles led to several interruptions in his education, he eventually earned his bachelor’s and master’s degrees from the University of Michigan. In 1918, he was awarded his Ph.D. from the University of Wisconsin-Madison. After completing his Ph.D., Hull remained at the University of Wisconsin-Madison to teach. During this time, he began researching the measurement and prediction of aptitude and published his book Aptitude Testing in 1928. In 1929, he took a position at Yale University where he would continue to work for the rest of his career. He became one of the first psychologists to empirically study hypnosis. During this time, he also began to develop what would eventually become his drive theory of behavior. Hull drew on the ideas and research of a number of thinkers including Charles Darwin, Ivan Pavlov, John B. Watson, and Edward L. Thorndike. Like other behaviorists, Hull believed that all behavior could be explained by conditioning principles. According to Hull’s drive reduction theory, biological deprivation creates needs. These needs activate drives which then motivate behavior. The resulting behavior is goal-directed, since achieving these goals aids in the survival of the organism. Hull was influenced by Darwin and believed that the evolutionary process impacted these drives and resulting behaviors. He suggested that learning occurred when reinforcement of behaviors resulted in meeting some type of survival need. For example, basic needs such as hunger and thirst cause organisms to seek out satisfaction for these needs by eating and drinking. These drives are then temporarily reduced. It is this reduction of drives that serves as reinforcement for the behavior. According to Hull, behavior is the result of the continual and complex interaction of the organism and the environment. Hull’s drive reduction theory served as a general theory of learning that helped inspire further work by other researchers. For example, Miller and Dollard applied Hull’s basic theory more broadly to include social learning and imitation. However, they suggested that motivating stimuli did not necessarily need to be tied to the survival needs of an organism. 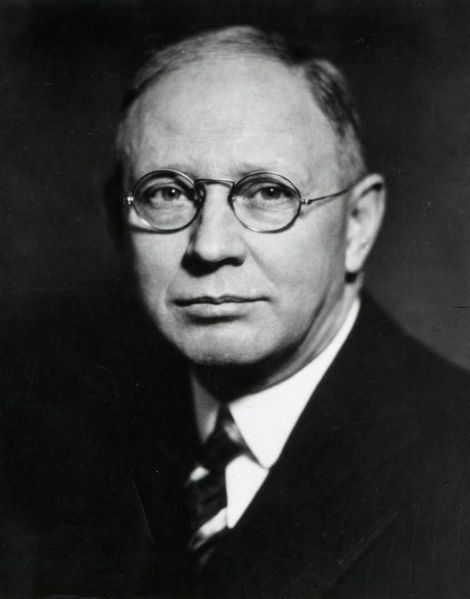 Clark Hull also influenced a number of other psychologists. He became one of the most frequently cited psychologists during the 1940s and 1950s. Prior to the cognitive revolution of the 1960s, his theories had a more dominant influence in American psychology. He also advised a number of graduate students who went on to make significant contributions to psychology including Neal Miller, O. H. Mowrer, Carl I. Hovland, and Kenneth Spence. While the specifics of his theories have fallen out of favor in psychology, his emphasis on experimental methods set a high standard for future researchers. Hull, C. (1933). Hypnosis and Suggestibility: An Experimental Approach. New York: Appleton-Century-Crofts. Hothersall, D. (1995). History of Psychology, 3rd ed. New York: Mcgraw-Hill. Schrock, J. (1999). Clark L. Hull. Spence, K. W. (1952). Clark Leonard Hull: 1884-1952. The American Journal of Psychology, 65(4), 639-646.